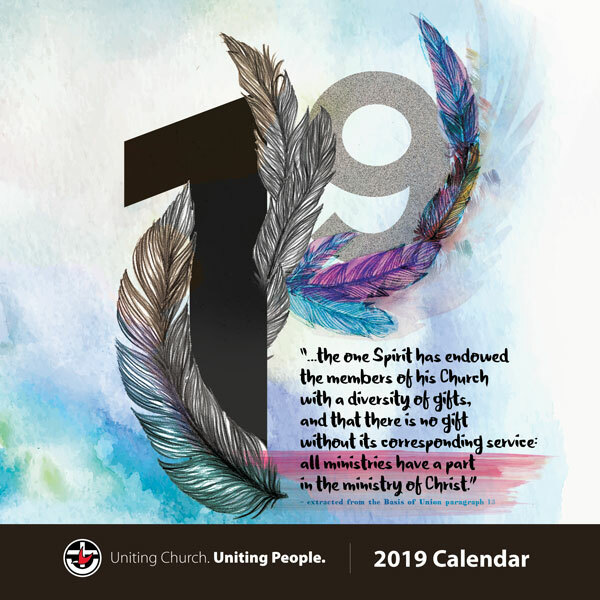 Each year the Uniting Church creates a calendar which also acts as our Annual Report. It reports the numbers, but it also reports on far more than that, featuring a cross section of the many and varied ways we go about being the Uniting Church. All congregations and organisations wishing to receive printed calendars must place an order by Wednesday 31 October. Printed calendars cost $2 each (including GST). Calendars can be collected at the Synod office (Level 2, 212 Pirie Street, Adelaide) from Monday 19 November. An online copy of the 2019 calendar can be downloaded below. You can view the 2018 Calendar/Annual report below or click here to scroll down the page to where you can download the PDF version of this and past year's publications.